Formed in early 2014 in Madison, Wisconsin, DUMB VISION now has two separate cassette tapes under their belt. A Total Commitment To Evil was released in late 2017 on the bands own Rare Plant label. Their two tapes are only the beginning of bigger things to come, as the band has both a 7″ and a full-length album planned for later down the road in 2018. Local Madison label Kitschy Manitou is taking care of their upcoming 7″, while the debut LP is planned to drop via Big Neck Records out of Leesburg, Virginia. Those two records still appear to be a bit further down the pipeline, so take a listen to their latest offering in the meantime. This disheveled punk rock was recorded directly to a TASCAM 4-track cassette recorder, so there should be no surprise when you realize this is the most blown-out set of tracks we’ve covered here since 2015. Guitars, bass, vocals and percussion all meld into this static, filth-fueled attack. Angular hooks drive the opener “1254” along with its fist-in-air chorus chants. They’re as crunchy as can be and your ears may even detect a moderately melodic solo crammed in there. There’s a method to the madness, except the madness is buried by an extra three tons of feedback floating on the surface. “No One” is a burnt-out scorcher, delivering another flurry of grumbling guitars complete with a screeching solo. “Shadows” becomes a tape highlight with its spiky licks, with possibly the most decipherable vocals on the tape. The aesthetic here is simple – ripping, guitar chord crunches buried under the fuzz of a Tascam tape recorder. And the results are lovely. 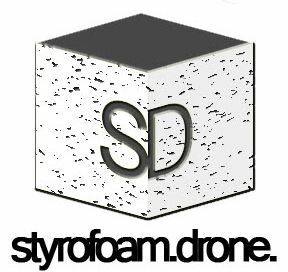 Posted on March 5, 2018 by styrofoamdronePosted in Cassettes, ReviewsTagged garage rock, Lo-Fi, punk.